An independent agency of the United States government, the Nuclear Regulatory Commission (NRC) is responsible for regulating the nuclear power industry. Among its chief duties are issuing licenses that allow commercial nuclear reactors to operate and carrying out inspections of power plants. The NRC was created in the 1970s after federal officials decided the government needed to do more to oversee the safe operation of nuclear power throughout the U.S. But the NRC has often been accused of failing to carry out this responsibility and being too conciliatory toward the industry. The first government agency responsible for regulating the nuclear power industry was the Atomic Energy Commission (AEC), established in 1946. During its first eight years, AEC was primarily focused on building nuclear weapons for the American military and developing nuclear reactors for civilian application. In 1954, Congress passed the Atomic Energy Act (pdf), which for the first time made the development of commercial nuclear power possible. The act assigned AEC the functions of both encouraging the use of nuclear power and regulating its safety. This was a difficult goal to achieve. An increasing number of critics during the 1960s charged that AEC’s regulations were insufficient in several key areas, including radiation protection standards, reactor safety, plant siting, and environmental protection. By 1974, the AEC’s regulatory programs had come under such strong attack that Congress decided to abolish the agency. Supporters and critics of nuclear power agreed that the promotion and regulation of nuclear power should be assigned to different agencies. And so the Energy Reorganization Act of 1974 (pdf) created the Nuclear Regulatory Commission (NRC) to oversee the industry and approve operating licenses for nuclear plants, while the Energy Research and Development Administration (ERDA) was put in charge of helping the industry grow (ERDA was subsequently absorbed by the creation of the Department of Energy [DOE] in 1977). The NRC focused its attention on preventing a major reactor accident that would threaten public health and safety. By the mid-1970s, reactor safety had become a hotly disputed and enormously complex public policy issue. Bitter debates over the reliability of emergency core cooling systems, pressure vessel integrity, quality assurance, the probability of a major accident and other questions received a great deal of attention from the NRC, Congress, the nuclear industry, environmentalists and the news media. Then, on March 28, 1979, the debate turned from the hypothetical to the actual when one of the nuclear reactors at the Three Mile Island plant in Pennsylvania melted about half of its core. For a tense period of time, experts and novices worried that widespread radioactive contamination would result in Pennsylvania and perhaps farther. Fortunately, the crisis ended without a major release of dangerous radiation or a need to order a general evacuation. But the Three Mile Island accident pointed out that new approaches to nuclear regulation were essential. In the aftermath of the accident, the NRC placed much greater emphasis on operator training and “human factors” in plant performance, severe accidents that could occur as a result of small equipment failures (as occurred at Three Mile Island), emergency planning and plant operating histories. While NRC officials were still deliberating over and revising its requirements in the aftermath of Three Mile Island, another event shook the industry and further undercut public support for nuclear power. On April 26, 1986, unit 4 of the nuclear power station at Chernobyl in the Soviet Union underwent a violent explosion that destroyed the reactor and blew the top off it. The explosion and subsequent fire in the graphite core spewed massive amounts of radioactivity into the environment. The accident occurred during a test in which operators had turned off the plant’s safety systems and then lost control of the reactivity in the reactor. Without emergency cooling or a containment building to stop or at least slow the escape of radiation, the areas around the plant quickly became seriously contaminated and a radioactive plume spread far into other parts of the Soviet Union and Europe. The nuclear industry in the U.S. pointed out that the design of the Chernobyl reactor was entirely different than those used in America, and supporters of nuclear power insisted that a Chernobyl-type accident could not occur in commercial plants in the United States because American reactors featured safety systems and containment to prevent the release of radioactivity. But nuclear critics easily won the public debate following Three Mile Island and Chernobyl, causing the industry to gradually retrench during the rest of the 1980s and into the 1990s. In the aftermath of the nuclear accidents, the NRC suspended the granting of operating licenses for plants that were in the pipeline. The commission did continue to issue full-power operating license to plants that had already been built at the time of the accidents, but for those plants that hadn’t moved beyond the drawing board, the impetus to build new nuclear reactors was gone. The focus of NRC activities gradually shifted away from licensing requirements for new plants to overseeing the safety of operating plants. It also began focusing more on the matter of decommissioning old nuclear plants. Between 1947 and 1975, a total of 50 nuclear plants, including five small experimental power reactors, were decommissioned. In response to an investigation by the General Accounting Office, Congressional hearings, and a petition from environmental organizations, the NRC drew up new, tougher rules for how to shut down and dismantle nuclear power plants. The new procedures were adopted in 1988. Another key issue NRC had to deal with was the renewal of licenses for plants that were reaching the expected end of their operation. With the industry unwilling or unable to build new plants, plant operators began looking for ways to extend the life of existing reactors, which weren’t supposed to go more than 40 years. The 40-year licensing period for nuclear plants was first established in the 1954 Atomic Energy Act and the limit wasn’t based on technical grounds or operating experience. The NRC deliberated over this issue for several years and eventually decided that the maximum length of an extended license would be 20 years. During the 1990s a controversy arose over the operation of a nuclear power plant in Connecticut that wound up tainting the reputation of the NRC. The uproar over the Millstone Power Station began in the early 1990s when several plant employees claimed that they were harassed, intimidated and fired for calling attention to safety problems and violations of NRC regulations. The NRC investigated the concerns raised by the whistleblowers and determined that the safety issues they raised were not of major significance and had been corrected. Then-NRC Chairwoman Shirley Ann Jackson conceded that the Time article demonstrated that “not all aspects of nuclear regulation or nuclear operations in certain places are as they should be,” but she strongly denied the implication that the Millstone situation bordered on an impending Three Mile Island or Chernobyl-type disaster. Things quieted down for the NRC until this decade. When President George W. Bush was in the White House, the nuclear power industry received a new lease on life as the Department of Energy invested millions into research and development of a new generation of nuclear reactors. Since 2007, the NRC has received applications to build 34 new reactor units in 16 states. President Obama has generally been a supporter of nuclear power plant development, although the 2011 nuclear plant crisis in Fukushima, Japan, has given Americans cause for concern about the safety of domestic power plants and plans for new plant construction. The NRC re-inspected all 104 nuclear power plants in the U.S. following the Fukushima disaster, and its subsequent May 2011 report revealed extensive safety problems. A March 2011 report (pdf) on the performance of the NRC that was issued by the Union of Concerned Scientists (UCS) noted 14 “near misses” at U.S. nuclear power plants in 2010. The NRC also finds itself in the middle of the ongoing controversy regarding storing the country’s mounting nuclear waste in an underground facility at Yucca Mountain, Nevada. In June 2008, DOE officials finally submitted their application for an NRC operating license so Yucca Mountain can begin taking in nuclear waste from around the country by 2020. Opposition from environmentalists has kept the project stalled, and candidate Barack Obama spoke out against it during his 2008 presidential campaign. As President, he defunded the project in 2009 and revoked the Bush administration’s application for its construction in March 2010. However, the DOE’s request to withdraw the application was turned down by the Atomic Safety and Licensing Board (ASLB) three months later. Republican Congressional investigators have charged that the attempted closure of the project may have been illegal, while Democrats have accused the Republicans of harboring political motives. 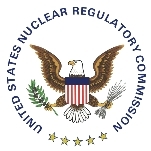 The Nuclear Regulatory Commission (NRC) is an independent federal agency charged with keeping watch over the commercial nuclear power industry. The NRC regulates commercial nuclear power plants and other uses of nuclear materials, such as in nuclear medicine, through licensing, inspection, and enforcement of its requirements. Before a nuclear reactor can begin operating, the NRC must first issue an operating license. The commission is also responsible for conducting inspections at nuclear plants to ensure that ongoing operations meet federal safety standards. Today, the NRC monitors the operations of 104 nuclear reactors, including Three Mile Island 1, the reactor not damaged in the 1979 accident. NRC provides a map of the United States showing the location of all reactors still operating. NRC officials manage all commercial nuclear plants through one of four regions. Region I covers the Northeast (Connecticut, Delaware, Maine, Maryland, Massachusetts, New Hampshire, New Jersey, New York, Pennsylvania, Rhode Island, Vermont and Washington D.C.). Region II encompasses the Southeast (Alabama, Florida, Georgia, Kentucky, North Carolina, South Carolina, Tennessee, Virginia, and West Virginia) along with Puerto Rico and the Virgin Islands. Region III covers the Great Lakes states and some of the Midwest (Illinois, Indiana, Iowa, Michigan, Minnesota, Missouri, Ohio, and Wisconsin). Region IV covers the remainder of the Midwest plus the western half of the United States (Alaska, Arizona, Arkansas, California, Colorado, Hawaii, Idaho, Kansas, Louisiana, Mississippi, Montana, Nebraska, Nevada, New Mexico, North Dakota, Oklahoma, Oregon, South Dakota, Texas, Utah, Washington, and Wyoming). The NRC is headed by five commissioners appointed by the President and confirmed by the Senate for five-year terms. One commissioner is designated by the President to be the chairman and official spokesperson of the commission. The commissioners are supported by numerous offices and boards within the NRC. Advisory Committee on Reactor Safeguards is made up of five members and has three primary responsibilities: review and report on safety studies and reactor facility license and license renewal applications; advise the NRC on the hazards of proposed and existing reactor facilities and the adequacy of proposed reactor safety standards; and initiate reviews of specific generic matters or nuclear facility safety-related items. Advisory Committee on the Medical Uses of Isotopes advises the NRC on policy and technical issues related to the regulation of the medical uses of radioactive material in diagnosis and therapy. The ACMUI membership includes health care professionals from various disciplines who comment on changes to NRC regulations and guidance; evaluate certain non-routine uses of radioactive material; provide technical assistance in licensing, inspection and enforcement cases; and bring key issues to the attention of the NRC. Atomic Safety and Licensing Board Panel conducts all licensing and other hearings as directed by the NRC. The panel, which has no fixed number of positions, is composed of administrative judges (full-time and part-time) who are lawyers, engineers and scientists and administrative law judges (ALJ) who are lawyers. Administrative judges and ALJs serve as single presiding officers or on three-member boards, which generally are chaired by a lawyer, for a broad range of proceedings. A large pool of members make up those available to serve on the panel. The NRC makes available information on hearings, as well as the High-Level Waste Electronic Hearing Docket (pdf) and Reactors, Materials and Other hearings Electronic Hearing Docket. Office of Nuclear Reactor Regulation is one of NRC’s biggest and most important offices, as it oversees the operation of all commercial nuclear reactors operating today. The office monitors power reactors as well as research and test reactors, while providing information on operating reactors, operator licensing, new reactors, reactor coolant system weld issues, license renewal, potassium iodide in emergency planning, the reactor oversight process and reactor safety focus areas. Office of Nuclear Regulatory Research addresses issues in the areas of nuclear reactors, nuclear materials and radioactive waste. The NRC’s annual Regulatory Information Conference (RIC) provides a forum for presentations and discussions about the agency’s research activities. Information gained from the research program is documented in the NUREG-series publications and is used in developing regulatory guides. Some of these publications provide documentation and information on the use of technical computer codes that are used in research, modeling, and analysis. Additional information is provided on safety research involving nuclear reactors, nuclear materials, radioactive waste safety and computer codes. Office of Nuclear Security and Incident Response oversees safeguards and security that guard nuclear reactors against theft and sabotage. The office deals with threats, thefts and sabotage relating to special nuclear material, high-level radioactive wastes, nuclear facilities and other radioactive materials and activities that the NRC regulates. Post 9/11 Information (correspondence, fact sheets, frequently asked questions, press releases, speeches, and testimony) is available as are FAQs about NRC’s Response to the 9/11 Events, Force-on-Force Security Exercises at Nuclear Power Plants, Security Assessments at Nuclear Power Plants and NRC’s Design Basis Threat Final Rule. Office of Federal and State Materials and Environmental Management Programs develops and implements rules for the use of special nuclear material in industrial, medical, academic and commercial activities, as well as rules that apply to decommissioning of nuclear plants, uranium recovery, and low-level waste sites. The office is responsible for licensing and oversight duties, and it develops policies and procedures for assessing the performance of licensing and inspection functions of NRC’s regions and state governments through the Integrated Materials Performance Evaluation Program. Office of New Reactors is responsible for regulatory activities that pertain to the siting, licensing and oversight for new commercial nuclear power reactors. Office of Nuclear Material Safety and Safeguards oversees the safe storage, transportation and disposal of high-level radioactive waste and spent nuclear fuel. Some of the duties performed by the office include licensing, inspection, assessment of licensee performance, events analysis, and enforcement of NRC rules. Office of Enforcement oversees NRC policies and programs to ensure the enforcement of NRC requirements by industry. The office develops policy regarding the management of allegations from sources outside of the NRC, and it manages the commission’s system of handling allegations of NRC rules violations. Details on current issues and actions, enforcement authority and regulations, enforcement policy, upcoming conferences, enforcement guidance, sanctions for discrimination against whistleblowers, alternative dispute resolution and safety culture are available from the NRC. So are documents regarding significant enforcement actions, notices of enforcement discretion and security orders. Office of Investigations develops policy, procedures and quality control standards for the conduct of all NRC investigations of alleged wrongdoing by nuclear power companies, contractors. The office employs Special Agents who use conventional investigative techniques, as well as the laws of evidence, to conduct investigations. At times, a member of the NRC’s technical staff may be called upon to participate as part of the investigative team to address complex technical issues and/or safety concerns. Office of Commission Appellate Adjudication supports the NRC adjudication process by monitoring cases pending before presiding officers, conducting analyses of any adjudicatory matters requiring an NRC decision, drafting decisions and consulting with the Office of the General Counsel. Office of Congressional Affairs serves as the liaison for NRC when it comes to dealing with Congress, its committees and staff. Office of the General Counsel handles all matters of law and legal policy for the NRC including providing opinions and advice. Office of International Programs provides overall coordination for NRC’s international activities. The office plans, develops and implements programs carried out in the international arena, including export and import licensing responsibilities. Establishes and maintains working relationships with individual countries and international nuclear organizations, as well as other involved federal agencies. Office of Public Affairs manages and directs the agency’s public affairs program, including working with the media and producing documents for public consumption. Office of the Inspector General conducts audits and investigations involving NRC operations to prevent and detect fraud, waste, abuse and mismanagement. The IG recommends corrective actions to be taken, reports on progress made in implementing those actions and reports criminal matters to the Department of Justice. The Nuclear Regulatory Commission (NRC) has turned to private contractors to provide a variety of services, according to USAspending.gov. The commission has doled out more than $1.4 billion this decade for 18,634 transactions, including technical assistance ($304,304,446), ADP operations and maintenance ($236,327,232), telecommunicatons and other ADP ($89,976,582), ADP systems development ($58,102,163), and administrative support ($43,991,914). The Nuclear Regulatory Commission (NRC) in July 2011 contradicted its previous assertions after the Japanese nuclear crisis that American power plants would withstand a similar tragedy. The NRC released a report that revealed many of the nation’s old nuclear power plants would struggle to survive earthquakes and other natural disasters. CBS News obtained a copy of the NRC’s assessment of the plant and found it lacked emergency responder training and had faulty control panels, malfunctioning communications equipment and issues with portable backup diesel generators. Also in 2011, the Union of Concerned Scientists (UCS), a government watchdog organization, obtained internal documents from the NRC through the Freedom of Information Act that indicated technical staff had questioned the effectiveness of key safety measures adopted for nuclear power plants. “It turns out that privately NRC senior analysts are not so sure” about power plant safety, said Edwin Lyman, a physicist with the UCS Global Security program and an expert in nuclear plant design. Lyman highlighted documents such as a July 28, 2010, email in which an NRC staffer said the contingency plans for Exelon Corp’s Peach Bottom nuclear plant in Lancaster County, Pennsylvania, “have really not been reviewed to ensure that they will work to mitigate severe accidents.” The Peach Bottom power station uses the same type of GE reactor as four of the five reactors at Fukushima. NRC officials disputed the UCS’ analysis, claiming it misunderstood an internal evaluation of nuclear plant safety that began prior to Japan’s situation with its Fukushima plant. The nuclear power industry experienced 14 “near misses” in 2010, according to a watchdog organization. The Union of Concerned Scientists reported the Nuclear Regulatory Commission had to send out special teams of experts 14 times as a result of something going wrong at a nuclear plant. Of the 14 near misses in 2010, only one required an AIT. That was at the HB Robinson plant in South Carolina, where a cooling system failure went unnoticed for 30 minutes. Rather than enforce safety regulations governing the operation of nuclear plants, the Nuclear Regulatory Commission (NRC) has frequently permitted industry to avoid fixing problems that pose potential dangers. The NRC has “routinely” waved fire rule violations at nearly half the nation’s 104 commercial reactors. Fires pose a serious threat to nuclear safety, as evidenced by the crisis in Japan, where explosions and fires after the tsunami crippled the control room, leaving operators unable to cool down reactors. One of the more egregious examples of the NRC lax oversight involved the Browns Ferry Nuclear Plant in Alabama, where equipment still does not comply with fires rules—36 years after a conflagration prompted federal regulators to adopt new requirements for the industry. More than 150 fires have broken out at nuclear plants since 1995, according to NRC records. Despite these and other problems, the NRC has approved every application for a nuclear plant license renewal—63 for 63—since relicensing of old plants began in 2000. Nuclear power regulators also have allowed plant owners to extend the life of reactors beyond what was considered safe. When plants went online in the 1960s and 1970s, companies insisted reactors were designed to operate for only 40 years. But instead of shutting down these aging reactors, industry has insisted they can continue for decades more. And the NRC has raised no objections. The security company Wackenhut was the focus of controversy in 2004 when it was hired by the nuclear industry’s trade group to carry out mock attacks on nuclear power plants to test their security readiness. The problem with this decision, said government watchdogs, was that Wackenhut was responsible for guarding many of the plants that would be tested. “It is not an apparent conflict of interest, but a blatant conflict of interest,” said Danielle Brian, executive director of the Project on Government Oversight, in a letter to the chairman of the Nuclear Regulatory Commission. Roy P. Zimmerman, director of the NRC’s Office of Nuclear Security and Incident Response, said the commission was okay with the decision by the Nuclear Energy Institute to allow Wackenhut test its own guards. But the NRC would keep a close eye on the company going forward. The NRC’s willingness to allow the apparent conflict of interest to slide came after a report by the Department of Energy’s inspector general revealed that Wackenhut had had problems in running drills at weapons plants. In one mock attack at the government’s nuclear weapons facility at Oak Ridge, Tennessee, Wackenhut attackers had told Wackenhut defenders which buildings were to be attacked, the targets at those buildings and whether a diversionary tactic would be used. The inspector general said the internal leaks raised doubts about the value of the tests. The federal government’s 30-year struggle to establish an underground site for storing nuclear waste continues to drag on. The Department of Energy (DOE) has been working since the 1980s to get Yucca Mountain, a remote site in southern Nevada, ready to accept thousands of tons of nuclear waste from commercial nuclear power plants. But after decades of political in-fighting, opposition from environmental groups, and the spending of $15 billion, the Yucca Mountain project landed in the U.S. Court of Appeals. In April 2008, the head of Nevada’s Agency for Nuclear Projects wrote to the NRC asking it to reject DOE’s application for the Yucca Mountain plan on grounds that the “make believe” project could not possibly meet Environmental Protection Agency standards. Two months later, NRC officials accepted the 5,000-page application from the NRC, dealing another blow to Nevada’s attempts to derail the project. Previously, Nevada had filed numerous lawsuits against the federal government to stop Yucca Mountain from moving forward, including a lawsuit claiming the NRC had illegally revised regulations to allow the project to continue. A federal appeals court dismissed that lawsuit. President Barack Obama spoke out against the Yucca Mountain project during his 2008 presidential campaign. As President, he halted funding of the project in 2009 and, in March 2010, he revoked the Bush Administration’s application for its construction and operation. However, the DOE’s request to withdraw the application was rejected by the Atomic Safety and Licensing Board (ASLB) three months later. Republican Congressional investigators have charged that the attempted closure of the project may have been illegal because it was not approved by Congress, while Democrats have accused the Republicans of political maneuvering. After completion of a seven-month investigation, the NRC inspector general—in June 2011—issued a report accusing NRC chairman Gregory Jaczko of deliberately withholding information from his colleagues as part of a plan to stop work on the project. The NRC has produced a three-volume report on the history and status of the Yucca Mountain project, the final installment of which was released in September 2011. The Commission declared itself evenly divided on whether to overturn the DOE’s motion to withdraw the application. The matter went to the U.S. Court of Appeals for the District of Columbia Circuit, which said in August 2012 that it would order the NRC to resume evaluating the site unless Congress solves the issue by December 2012. Despite the critical importance of its mission to ensure the public’s safety from nuclear energy dangers, the NRC has demonstrated time and again a tendency to not respond appropriately to serious matters. In 2004, the Government Accountability Office (GAO) issued a report that found the NRC had failed to properly address safety concerns at a nuclear power plant in Ohio. In January 2008, the NRC’s inspector general (IG) discovered that the commission had waited 12 years before it began to address a shortcoming with fire-protection infrastructure at nuclear reactors throughout the country. At issue was the Thermo-Lag fire barrier, which the National Institute of Standards and Technology had tested in 1993 (and reported to the NRC in 1994). Instead of lasting one hour in the event of a fire at a nuclear reactor, it survived only 23 minutes. The NRC decided to conduct its own testing of the fire barrier—in 2005—and then only after more evidence of problems with the barrier arose in 2000. The NRC took even longer to respond to a petition filed by a community organization in Vermont regarding the full effects of nuclear power. After filing its request in 1975, the group didn’t hear back from NRC officials until 2007. The agency declined the request. NRC officials believe some, but not all, commercial nuclear power plants should be protected to withstand terrorist attacks involving airplanes. In the fall of 2007, the commission filed new rules that would require certain reactors under development to be built with an extra layer of protection so the core would remain intact if a plane were to crash into the building. But the rules would not apply to the 104 reactors already in existence. Some of the most vocal opposition to the NRC plan came from industry representatives who expressed concern that requiring protection for only some plants might shortcut the current rebirth in nuclear energy if the public loses confidence again in the safety of new plants. Critics of nuclear power also jumped on the NRC for not applying the requirement to existing reactors. Others said the new rules lack specificity on how to build a proper shield against air attacks. “What if they do an assessment and it crumples like a piñata?” said Edwin Lyman, senior staff scientist for the Union of Concerned Scientists. Following the Fukushima plant disaster in Japan, the Nuclear Regulatory Commission issued 12 reforms for the commission to follow. One of the most significant changes called on the NRC to replace a “patchwork” of rules that had evolved over years and replace them with “a logical, systematic, and coherent" regulatory framework,” according to NRC chairman Gregory Jaczko. Another recommendation suggested the NRC require power plants to upgrade protections for nuclear reactors and spent-fuel pools to further protect them from natural disasters. Yet another change involved the commission mandating nuclear power plants do a better job of preparing for power blackouts and events that affect more than one reactor. I am an invertor and represent the Think Tank of GMW. I have worked on designing low & high level radio active storage facilities. At the NYS Low Level Siting Commission I presented the work we've done and received a standing ovation from those for and against storage in NYS. I have in mind where there is, already built, a high level radio active storage facility based on my concept. Any interest in reviewing my work? What does the NRC do to prohibit persons with psychological problems from working in the nuclear industry? I know a written test is required, a skilled and intellectual psychopath and malignant narcissist can pass a written test. Has the NRC ever considered having a person who claims to have marital problems etc do a brain scan or brain imaging? Technology today can detect those issues amongst a mentally unstable person. We work at VC Summers nuclear power plant. We are having problems with the supervision. They are causing a lot of problems among the workers and showing a lot of nepotism. In the Annex building they are shortening our break's and lunches. They also told the smokers they can only smoke on a break or lunch. This not right. Im a non smoker and I have to work with them. You need to look into the situation.!!! Thank you. Kristine L. Svinicki, a long-time member of the Nuclear Regulatory Commission (NRC), was appointed on January 23, 2017, by President Donald Trump to be its chairman. One of seven children, Svinicki was born September 6, 1966, in Jackson, Michigan. She lost her parents, Emil and Jane, as a teenager. However, she was inspired by them to earn a degree in nuclear engineering from the University of Michigan in 1988, after studying at Jackson Community College. Her father, Emil, grew up on a farm and later became an architect. Svinicki’s professional career has been entirely in the public sector. She started as an energy engineer for the Wisconsin Public Utilities Commission. She moved to the federal Department of Energy (DOE)’s Idaho Operations Office in Idaho Falls in 1990. In May 1994, she transferred to Washington D.C., working in DOE’s Office of Civilian Radioactive Waste Management, collecting technical information related to federally-owned radioactive waste. In January 1997, she moved to the Office of Nuclear Engineering, Science and Technology. While continuing to work as a nuclear engineer, Svinicki in January 1997 also began working in the office of Sen. Larry Craig (R-Idaho). She became Craig’s senior policy adviser and remained in that position until January 2005. Craig tried to get Svinicki appointed to the NRC in 2003, but then-President George W. Bush went in a different direction. She moved over to the Senate Armed Services Committee, working under Chairman John Warner (R-Virginia) and subsequently for ranking member John McCain (R-Arizona). Her specialties were defense science and technology programs and policies, nuclear weapons, nuclear security and environmental programs. Bush finally appointed Svinicki to the NRC in 2008, but in the process she had her first run-in with Sen. Harry Reid (D-Nevada). Reid wanted to ensure that one of his former staffers, Gregory Jaczko, was reappointed to the commission, and held up the nomination until the appointments were joined. Svinicki gained a reputation for keeping her head down and working long hours as a commission member. In 2011, she joined three other commissioners in accusing Jaczko, by this time the chairman of the NRC, of being a bully. He stepped down the following year. Svinicki was up for reappointment in 2012 and then-President Barack Obama was set to make the nomination until Reid jumped into the fray again. Reid’s objection to Svinicki was her support of the Yucca Mountain nuclear waste dump, which Reid strongly opposed. Svinicki was eventually reappointed to the commission. Her latest term is scheduled to end on June 30, 2017. Stephen G. Burns became a commissioner of the Nuclear Regulatory Commission (NRC) on November 5, 2014, with a term ending June 30, 2019. An independent agency of the US government, the NRC is responsible for regulating the nuclear power industry, including inspecting and licensing nuclear power plants. Burns served as the NRC’s 16th chairman from January 1, 2015, through January 23, 2017. Born April 29, 1953, in New York City, Stephen Gilbert Burns was the son of Gilbert Leo, a career Army officer, and Ellen (Scully) Burns, who died when Stephen was barely three years old. He earned a B.A. in German and History at Colgate University in 1975, studied abroad at the University of Vienna, and earned a JD at the George Washington University Law School in 1978, where he was an editor on the George Washington Law Review. Burns joined the NRC right after law school. His early career assignments included serving as deputy chief counsel in the Regional Operations and Enforcement Division from 1978 to 1983, legal assistant to the commissioner from 1983 to 1986, and executive assistant to NRC Chairman Kenneth M. Carr from July 1989 to June 1991. Burns served as director of the Office of Commission Appellate Adjudication from July 1991 to June 1994, associate general counsel from July 1994 to January 1998, deputy general counsel from January 1998 to April 2009, and as general counsel from May 2009 until April 2012, when he retired from the NRC. As general counsel, he supervised a staff of 110 employees. Burns served as head of legal affairs of the Nuclear Energy Agency (NEA) of the Organisation for Economic Co-operation and Development in Paris from April 2012 to November 2014. He provided legal advice to NEA management, supervised the NEA’s legal education and publications program, and provided advice and secretariat services to the Nuclear Law Committee and to the Contracting Parties to the Paris Convention on Third Party Liability in the Field of Nuclear Energy. Burns married Joan Louise Wallace in August 1977. The couple has two grown children, Christopher and Allison.